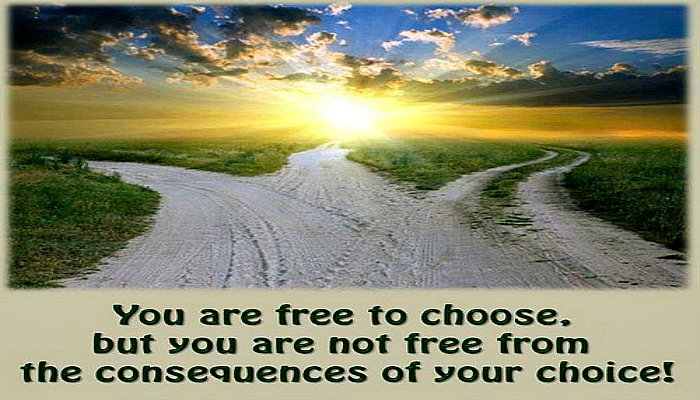 Choices & the FEAR of Heaven, G-d.
King Solomon concludes his book of Ecclesiastes, “Ultimately, when all is known, fear G-d and observe his commandments, for this is the whole purpose of man…” When it comes down to it, King Solomon advises, to fear (and have awe and true respect for) G-d is the foundation, and final objective of human existence. Doing the right thing and staying away from what’s bad is “for our own good.” “The Bible was granted, to improve the world.” In the book of mysticism, the Zohar, it says, “G-d looked into the Bible (as a blueprint) and from it, He created the world.” Everything written in the Bible, the word of G-d, presented to mankind in front of millions of people, is a blueprint for all that is infinitely good, precisely organized and kind. The things we are commanded to do, like resting once a week and be disciplined with our eating, and start the day with a prayer so we are focused on our purpose, and wash our hands when we come out of the restrooms, are all for our own benefit. Doing what’s wrong, is plain and simple to our own detriment. 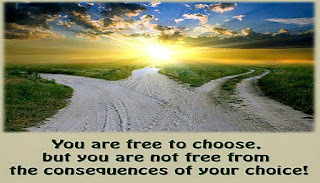 The punishments or sufferings that come as a result of bad choices is only to rectify the damage we made. The Baal Shem tov, teacher of the preacher of Mezritch explains. The above verse in the Bible to fear G-d, is not the very simple and immature fear of punishment and fear of a G-d who is greater and stronger. This is something expected in anyone who contemplates the source for everything and our constant dependence on G-d. The commandment to “fear G-d”, is, to be so aware of G-ds greatness and prominence that a person feels ashamed to do anything wrong, that would or could upset and/or offend Him, similar to the way a person would behave and act if a great and respected person was standing right there at his side. Deed- action counts most. 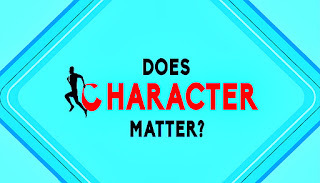 How about character? Does IT matter? “Whoever possesses the following three traits is of the disciples of our father Abraham; and whoever possesses the opposite three traits is of the disciples of the wicked Bilaam. The disciples of our father Abraham have a good eye, a meek spirit and a humble soul. The disciples of the wicked Bilaam have an evil eye, a haughty spirit and a gross soul. What is the difference between the disciples of our father Abraham and the disciples of the wicked Bilaam? The disciples of our father Abraham benefit in this world and inherit the World To Come, and as is stated, "To bequeath to those who love Me, and their treasures I shall fill" (Proverbs 8:21). Why did the Rabbis, teaching the above, not tell us more succinctly, “become the students of Abraham our Patriarch, who had a good eye, meek spirit and humble soul” like they encouraged us regarding Aaron, “become the disciples of Aaron--a lover of peace, a pursuer of peace, one who loves the creatures and draws them close to Torah”? What’s up with this comparison against the students of the wicked Bilaam, and why the detailing of the punishments and rewards? Also, why do we end the above teaching, with words King David used to express his OWN inner strength, nothing to do with the evil traits of the students of Bilaam? The above urging of our sages regarding Abraham, is not at all like the guidance regarding the students of Aaron spoken about in another place in the Ethics of our Fathers. There, everything is action oriented. Love peace and pursue peace, in this world. Love people and draw them into the proper path, into the ways of Torah. In our case above, since the Rabbis are counseling and appealing not to the realm of action but exclusively to character, they felt it necessary to amplify and expand their teachings because, people have a tendency to believe, the only thing that matters is what I do, and not what’s going on inside of me. The motivation behind the action, and who I am inside, really plays no role, in this world of action. For this reason, the Rabbis took the time to explain, that developing the qualities and character-traits of Abraham our Patriarch, in itself, even before it is brought into any kind of action is already considered a positive accomplishment and achievement. Our Rabbis want us to know, and for that reason they emphasize, the reward expected for those who develop these positive character traits, and the punishment for those with the negative traits, not only in the world to come, but in this world, right now and right here. For this reason, they included the verse “bloody and deceitful men, they shall not attain half their days.” To save us from these tragedies. Since the evil traits in themselves bring terrible results and have a power to cause harm we conclude with the prayer and strength of King David “And I shall trust in you”. This prayer is the antidote to all the negativity generated by those with the negative traits. Rabbi Yosef Yitzchok Schneerson (1880 -1950) once spoke about the craftiness and shrewdness of the evil inclination. 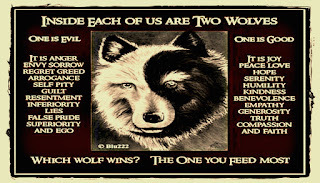 Inside every person there are two whole and complete independent forces of life. 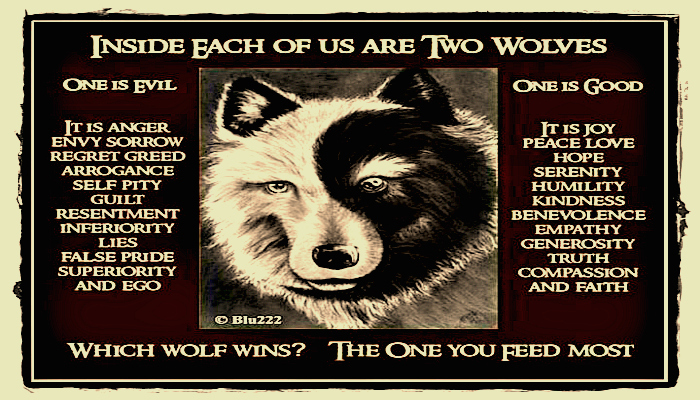 One is the G-dly soul, and the other is the animalistic and evil soul. The mandate and mission of the G-dly soul is to infuse our consciousness and lives with an interest, enthusiasm and attachment to G-dly pursuits. The goal of the animal soul is just the opposite. To excite us with immediate gratification, and keep us at this point, at the expense of discipline, personal improvement and progress towards G-dly awareness and pursuits. The deeper identity, desire and need of all people, is to be in contact with, and actualize the G-dly soul. The goal of the G-dly soul is to motivate and elevate the body and a life of crassness and materialism to one of value and meaning. It is only then, a person finds fulfillment, purpose and true happiness. The problem is, the animal soul presents its’ temptations in such a convincing and tantalizing way, we can be blinded, side swiped, or even actually persuaded that this may be the way to pursue in our lives. The evil inclination will go so far as to intentionally disguise himself in a pious righteous argument, when its entire underlying intention is always only one goal, to mislead the individual person away from fulfilling his true G-dly mission and purpose, to trap him in the now at the expense of the greater rewards and benefits of the later. Let me share with you another story that will shed light on this guidance. Once, a great Rabbi was given a large sum of money, let’s say it was 1000 golden coins to distribute to charity. About a week after this, the Rabbi was receiving people in his chamber for private audiences and one of the poor fellows poured his heart out to the Rabbi. But then I thought to myself. “Before the poor soul came into my room, and the money was waiting to be distributed, I had still not decided to whom, or how, I would give out that money. It was only after the pressing need came to my attention, and I was considering to help this fellow, that the thought to forgo an immediate need and opportunity, came to mind. This deferment to give out the money, and rejection of the poor soul, can only be the evil inclination trying his best to push me down and away from doing what is right and necessary at this moment.” With these last thoughts, the Rabbi opened his safe and handed the 1000 gold coins to the pour soul. Many times we all face similar dilemmas. Give up on the workout and sleep a little longer, “because” I will be “better rested”. Let me just this once veer off my improved pattern of behavior “because” ……… after all I deserve breaking the rules once in a while. Anything, that causes a weakness or slowdown on a path already in progress for the good, is the little or big internal self-centered animal, evil inclination. The science of a G-dly, Holy Man, & the virtue of humility. Once, a simple Jew came to see Rabbi Menachem M. Schneerson (1902 -1994) the Lubavitcher Rebbe and asked him. “I just don’t understand. If a person should encounter and experience a calamity or hardship in their life, (as the Torah makes abundantly clear) this is some form of punishment from heaven for an inadequacy in one’s deeds. If so, how does the Rebbe offer a blessing and many times the difficulty is eliminated or even transformed to good results? First and foremost, shouldn’t the individual improve his/her behavior? “When someone tells me their problems, the pain in their heart, I identify with and empathize with the soul before me to such a degree, that the others persons’ pain and circumstances, becomes my pain and agony. The great codifier of Jewish law the Rambam, Maimonides in his 13 principles that define Judaism says; Principle #6, The belief that G‑d communicates with man through prophecy, and principle # 7. The belief in the primacy of the prophecy of Moses our teacher. Certainly Moses had many more and many other qualities and virtues and yet, the one G-d in the Bible decided to point out was his humility. It stands to reason that this quality is what defined Moses most comprehensively and most deeply. Rabbi Shnuer Zalman of Liadi (1745 – 1812) explains; A humble person does not see himself as a lowly and inadequate being. Very much to the contrary. Because he is very truthful with himself, because he excels in the pursuit and attainment of wisdom, he knows exactly what his outstanding strengths are. This person, is the last person who wants to live in a world of falsehood and illusion. It is however, because he understands and realizes how utterly dependent he is on G-d for everything, since G-d is everywhere, and there is no place void of Him, and G-d is the cause and source of everything, he understands and further knows in his heart, the true source of his life as being completely and totally as, one nullified before G-d. He appreciates how little the credit is really due to himself and how all and any thanks for everything is due totally to the infinitely wise and gracious G-d.
A person of this sort, lives in his mind, completely attached to the reality of G-d. There is no sense of ego and self that could separate him from G-d or from another person. He sees in everyone the beauty of G-ds creation and the unique qualities that he himself, is lacking. This powerful attitude and approach to life, is a true self-sacrifice for G-d.
Because of his total surrender and connection with G-dliness in genuineness, the Rebbe was able to predict the six-day war would end in victory for the Jewish people, the exact day when the Persian Gulf war would end, and that nothing would happen to the Jews in Israel at that frightening time. It is for this reason, because of the Rebbes attachment to G-d he was able to bless a woman with fifteen children when the Doctors said it was physically impossible for this woman to give birth to even one child. This Saturday, July 9, 2016 is the day, 22 years ago the Rebbe left us his entire soul to connect with, by studying his teachings he left behind for us, and by putting into practice his instructions. You also, have a chance to connect with the soul of this great leader, and benefit from his blessings and guidance, since the soul is forever. 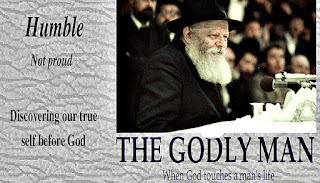 You can go to www.therebbe.org to learn more about this great G-dly man and benefit from his connection with G-d, his care and connection with every single one of G-ds wonderful creations, you and me. Is there a G-d?? So, Why??? Many of us look around and wonder. If there is a G-d, a definitive force that is just, perfect, and wise, as the cause and reason for everything, why does so many things appear to be so very unfair. Why do so many innocent people have it so very difficult and others seem to be born into it, everything on a silver platter. Why do some people who are pious, struggle so much and everything seems to go sour for them and others just naturally have it easy, as if they were blessed with the Midas touch? As intellectual beings, so G-d created us, we naturally seek to make sense and get a grip of our lots in life. The first response to this query is that unfortunately many people don’t see life through these lens and mostly use this question as an excuse for personal spiritual and religious weaknesses. They are convinced that ultimately a person is in charge of his own destiny. Don’t put G-d into the equation where He doesn’t belong! Be smart, work hard, and life isn’t always fair. Also, along the way, make sure you don’t get caught by the bigger fish in the pond. I am not addressing these types who have a deeply mistaken concept of the universe and life. As someone who appreciates the logical conclusion, there must be a G-d, just take one look at the world, our question has some very solid and powerful basis to it. On the one hand it would be foolish to believe the almost infinite details of our existence in total harmony and orchestrated precision coming together by any other explanation, but an equally infinite wise force, G-d.
Take one look at the beautiful colors of a bird or an animal replicating itself again and again. Where does this science and precise control of the atoms and molecules come from? Take a look at a small seed placed in the earth and out of this tiny seed a huge tree with color and fruit and seeds to replicate itself come from. By chance? Impossible. Take one look at the trillion cells in one human body each cell, a factory unto itself which operates more precise than a 120-person orchestra, in sync with every other cell of the body, is all of that random and by chance?? Happening in 7 billion people???!!! Look at the precision of the planets and the sun. If only a few miles north or south, it would destroy the earth! And, consider the idea itself of having a sun to give us light, warmth, and all the Vitamin D etc. that comes from the sun. All by chance? Add all of that together and the thousands and thousands of other factors that we depend on every millisecond of our existence, in precise orchestration. By chance?? All of it random?? Senseless?? Any reasonable thinking person must come to the conclusion there is a G-d, especially that He revealed Himself to the ENTIRE Jewish nation as recorded in the Bible. 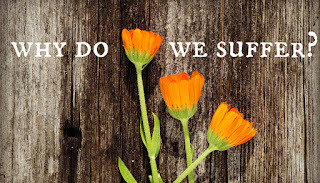 With these thoughts in mind, the question becomes all the more powerful. How then does G-d mess it up in MY life, or the life of people I know personally? Our sages tell us the question of a wise man is already half the answer. Once we acknowledge and strengthen our personal awareness and knowledge in G-d the creator of the universe, we can also understand He is impossible to ever totally comprehend. “For my thoughts are not your thoughts says G-d. ““No one can see me and live”. Over the years our great Holy giants like the Baal Shem Tov, whose task it is to open a small window to G-ds wisdom and operations behind the scenes, for us small minds with narrower vision, has shown us the cause and the goal for certain tragedies and misfortunes. The Talmud tells us the story of the good and hospitable widow who had her only source of livelihood her cow, killed by Elijah the prophet, only to save her only son. Or the rooster, donkey and candle of Rabbi Akiva who was treated badly by the inhospitable people of that city, and these objects were lost to him at night only to be saved from the passing robbers. Once we are comfortable with the qualifications of a Doctor or of any professional, we accept the limitations of our own knowledge not having gone to school to become a Doctor, and accept the personal testimony of those who have personal experience with the Doctor even when our own prescription, isn’t always easy to accept and or swallow. The Torah tells us; G-d intentionally places these incomprehensible occurrences before us. This IS PART OF THE PLAN! G-d wants us to struggle with the question so we come to the conclusion, we are finite and it is G-d who is infinite. 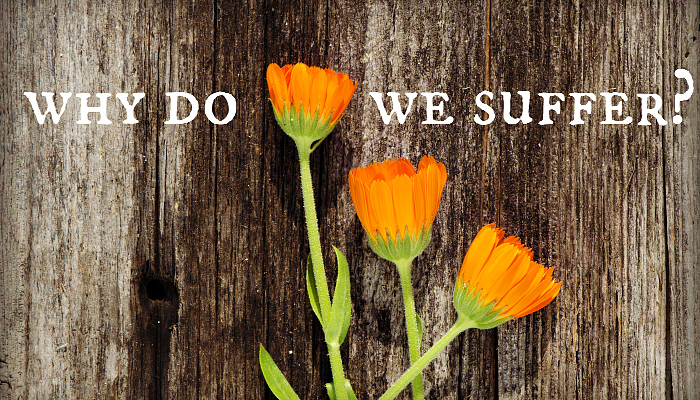 The questions are there, for us to overcome and become wiser and emotionally stronger as a result.